When I was a kid I never liked musicals. So I never really watched Disney films. I still haven't watched any originals other than Cinderella. And to be honest I don't remember it very well. So most of the Disney films I like are the ones they've made partnered with Pixar. I only recently started to like musicals a little bit and so I like some of the newer Disney films but some are still to show tuney for me. Possibly the saddest opening to a kids movie ever. Nemo hurt but the fact that up opened with a love story that was told without words and made us all bawl oceans of tears within the first 10 minutes of a movie is amazing. I love the story that Carl just wants to go to the place he and Ellie always wanted to go. And that Russell is such a sweet kid who can be smart at times just wants to help Carl and get his final badge. Doug the dog and Kevin are great comic relief and I really loved the film! Another emotional opener. Disney and Pixar sure love to pack a punch in their openers don't they? I love the story of a father just trying to protect his son and a son tired of been coddled his whole life. The main characters are great and the side characters are a delight. Each character's personality is thought out and shown very well. Even if they are one screen for a short time. I also really love the thought put into the single scene characters. Martin and Nemo both learn lessons in the end and it is a beautiful story from start to finish. I'm pretty sure that millennials were more excited this movie than the little kids that usually get hyped for these kind of movies. For us we finally got to see Nemo and Dory again and it was a huge nostalgia trip that Disney & Pixar took full advantage of. They snuck in so many referenced from the first movie and even a few clips. Plus if you stuck around for the after credits Disney pulled a comic book movie and had an after credits scene with Gil and the whole dentist office gang. The story was fantastic. I really love that didn't go the prequel route. Well they sort did but it was only flashbacks. It wasn't the main focus and I really like that. But as I said I really liked the story. It had sweet moments with Dory and her parents and even brought me to tears. There were some plot holes but it's a kids film and no movie is air tight. I will point out though the biggest plot hole is how Marlin, Nemo & Dory change between water sources. I know all that water in the fountains and all those cups was not salt water. Not to mention the filthy mop mop bucket. But hey plod devices get an excuse right? My favorite movie of my childhood. Well animated movie. My favorite live action movie was , and probably still is, Back to the Future. Anyway I loved Lilo & Stitch. I use to watch it with my grandma because she loved all of the Elvis music in it. I love the message of family it gives and the laughs you get from Jumba and Pleakley trying to catch Stitch and I love Lilo so much! I still relate to her to this day. I adored the show and 4 other movies as well. But the original movie is still my favorite and it is my first pick when I feel like having a cartoon movie night. I finally got to see Brave and I adore it! I love that Merida wants to be independent and that she doesn't want an arranged marriage. She was the first Disney princess to show girls you don't need a prince to make you who your are. She was followed by Else and now Moana. I love Brave because it is the first Disney princess movie that didn't revolve around Merida getting her prince. I love that it is the is the exact opposite. That she wasn't to have the freedom to not have a prince of she so chooses. Instead of telling us the same old story about a princess waiting for her prince we got a story about a princess who wanted to be free and an amazing tale of the love between a mother and a daughter. Frozen falls under the same line as Brave. It isn't about Else finding love or Anna either really. Anna does fall for Kristoff but it wasn't want the movie is about. She doesn't even realize she loves him until the end. Frozen is about the love of two sisters and how two people falling in love isn't the only kind of true love. Anna falls for Kristoff in the end but it wasn't some true love at first sight BS Disney all ways tosses out. They built a bond over their trip to save Elsa. I love that Disney didn't have two guys so both girls could have a "true love." Hans ended up being a terrible person and Disney again showed girls that you don't need a man to make you who your are. The movie focused on Sisterly love and friendship instead of the same love story we have heard a million different ways since Snow White in 1937. Moana is another great Disney film that didn't go down the love story route. Instead they told a tale of girl who wanted to do write by her people but also wanted the sea. I love that Maui became a big brother/Uncle type instead of going down the love route. Disney has been making so many independant and strong female characters and I love it! Moana was an absolute badass and she was able to say her people and sail the seas. And yes I cried like a baby during the grandma scenes. That manta ray was beautiful! Monsters Inc is another one like Lilo & Stitch for me. It was a part of my childhood and I love it. The story is so cute and I love how fast Sully gets attached to Boo. I love the door mechanics and how everyone is terrified of Boo. Monsters Inc will always have a place in my heart. I really loved it as a kid. I actually had a stuffed Mike teddy bear. I'm pretty sure I carried it around for a year. I might not like musicals but if you grew up in the late 90's/early 2000's and didn't watch this movie did you even have a childhood? The opening scene is iconic. Everyone knows what it is when they heard "naaaaaaaaaaaaa!" I didn't might the music in this one, even as a kid. As an adult I really love the story. Simba coming back to his pride when they need him. And even as an adult I still cry when Scar tosses Mufasa of that cliff. I mean who doesn't? Talk about crying. This whole movie is nothing but tears. Sad tears, happy tears. It is such a sweet story and I was a mess the whole time. I love Disney movies about family! I really like this movie. I also really love that I got to watch it as an adult because there are some great adult jokes I would have missed as a kid. But that goes for a lot of movies. My favorite adult from Inside Out is from the first night in San Fran. Fear is scared there might be bears. Disgust says there are no bears in San Fran. Than Anger says "I saw a big hairy man, he looked like a bear." I almost cried I laughed so hard. My dad was watching with me and since he has no idea that San Fran is a gay city and that big hairy gay men are called bears, he looked at me like I was crazy. Anyway I love how deep the story goes into the emotions you feel when moving from something happy and how happy memories can become sad. That is way sadness wants to touch everything. Every memory Bailey had is still happy but now that she has left her home she feels sad about the memories too. I also really loved the credits scene where they get a new control table with a puberty button. I've got a few more but I think that's enough for now so I'll save the rest for later. I was so tempted to put Star Wars 4-6 on here since Lucas Films is owned by Disney now but I decided to keep it to animations. 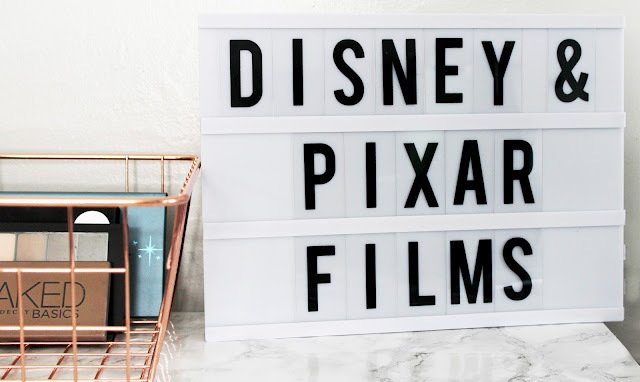 What are your favorite Disney & Pixar movies? What other animated movies do you like? Let me know in the comments down below! The Lilo and Stitch TV show was my childhood! I can still sing along with the theme song! I love seeing peoples favorites too! I think I might do a part 2 with Dreamworks Films!